Sonam Kapoor and Anand Ahuja were seen spending some time together amid Veere Di Wedding promotions. On the other hand, newlyweds Angad Bedi and Neha Dhupia were seen at the airport. The newlywed Neha Dhupia was seen at the Mumbai airport. The actor married her best friend Angad Bedi who was also seen with Neha. The two tied the knot in Delhi and made their first appearance as a couple at a fundraising event in the USA. Sonam Kapoor and Anand Ahuja are too making the most of their time together. The actor is making a point to spend time with her husband amid the busy promotion schedule of her upcoming film Veere Di Wedding. John Abraham and Diana Penty were seen promoting their upcoming film Parmanu in the city. Meanwhile, Malaika Arora was captured by our shutterbugs at the airport. 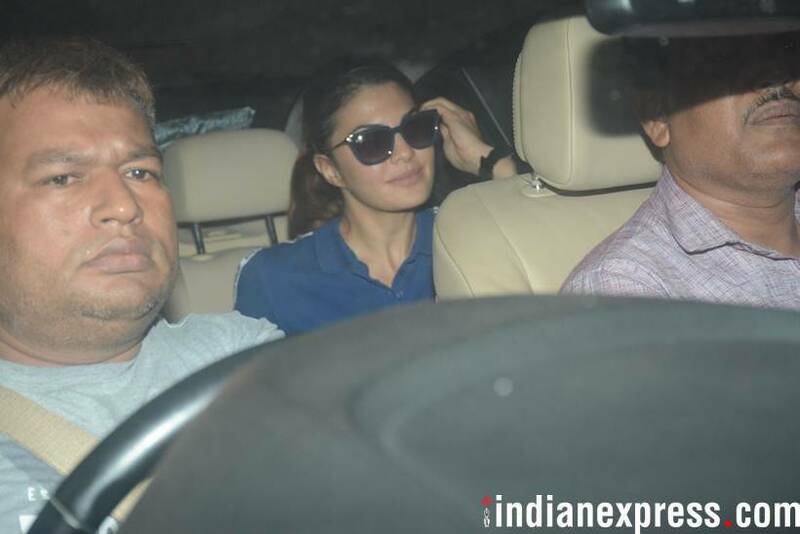 Jacqueline Fernandez was also photographed in Mumbai. Television actor Ravi Dubey was seen at the launch of the new show, Sabse Smart Kaun.